I grew up with one of those incredible people. My mom has been a runner for as long as I can remember. 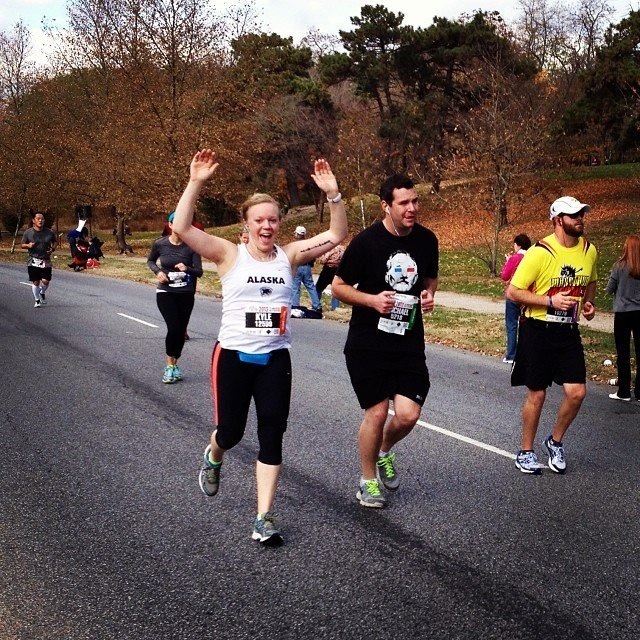 A marathoner who runs because it brings her joy. A runner because it brings her closer to herself. Because it’s therapeutic. Because, no matter what, she’s got legs and lungs and can keep going – on her terms, at her own pace, on her own time. It’s hers and no one can take that away from her. I run because my mom taught me to love it, but I didn’t fully appreciate what that meant when I was younger. I thought she was nuts. I didn’t like running, I only did it because it was part of the other sports I played. When she asked if I wanted to go for a run with her, I would usually say no. On the rare occasions I said yes, I would mope around and complain. I didn’t get it. And I wouldn’t, for a long time. 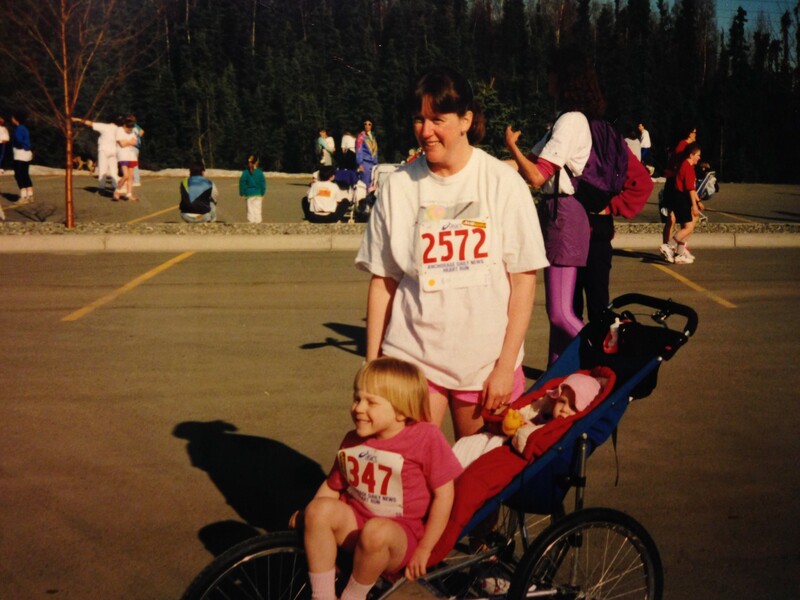 I’ve always been an athlete – from the time my parents strapped skis to my little toddler boots and when I flailed alongside my mom in local 5Ks. 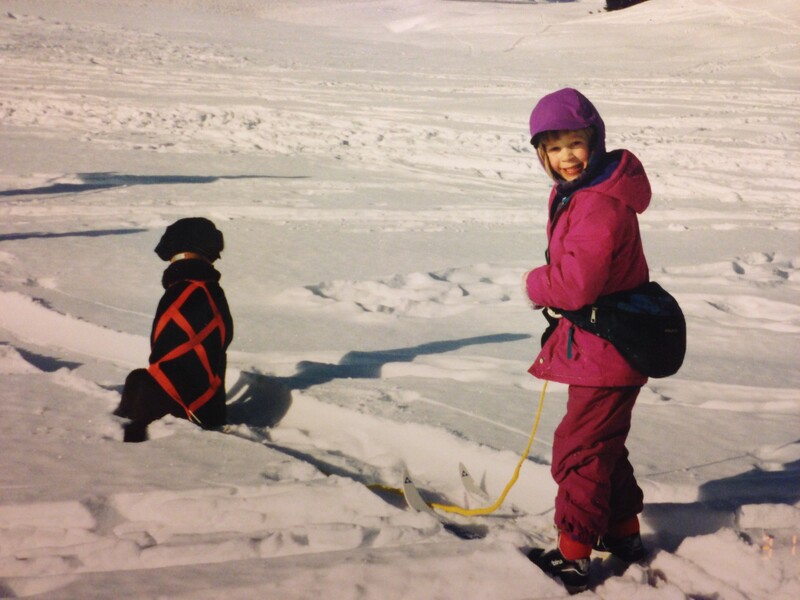 Growing up in Alaska means skijoring on the regular. Spending my childhood in Alaska with parents who loved camping and hiking bred in me not only a love a nature, but also the need to be active. I played basketball, volleyball, ran track, skied, snowboarded, hiked, biked, and swam. But I didn’t become a real runner until after I graduated from college. I played college basketball, but when that was over, I became more sedentary than I had ever been in my entire life. It felt weird. I needed to do something to change it, but not having a two-hour practice to go to every night or teammates to hit the gym with made it hard. So, I started running. Not too seriously, but I’d get a few miles in every day. Treadmilln’ it. Then, I signed up for a local five-miler that I’d done a number of times growing up. I felt so good with my finish that I went home and told my mom I wanted to run a half marathon. Of course she told me to go for it. That was 2012. Now I’ve run three marathons, numerous half marathons, and all manner of other distances. Running doesn’t make up so much of my fitness life anymore, but I still try to get out there and get a few miles in every so often. Now, I focus my efforts on CrossFit, which has kind of combined all of the things I love about the various sports I’ve played. There’s cardio, there’s strength, there’s skill. There’s lots of stuff I’m good at and even more that I’m still learning. It’s an all-comer sport that never fails to challenge me. I’m also a pop culture aficionado (read: I watch A LOT of movies and am really good at trivia), a fan of writing (obvs) and learning (I can’t get enough of it). I’m sometimes funny. You can follow more of my nonsense on the twitter: @kylepjennings. Join in on the fun!